At the end of September a not-so-usual venture gathering occurred in Digital October in Moscow. 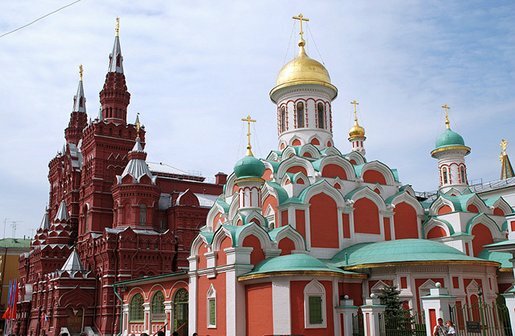 Just steps away from the Kremlin walls in the 35,000 square-foot space of the former chocolate factory, Geeks on a Plane, the international jet-setting startup, investment and tech tour with the best name on the planet networked, bantered and befriended the great and the good in the new Russian tech scene. 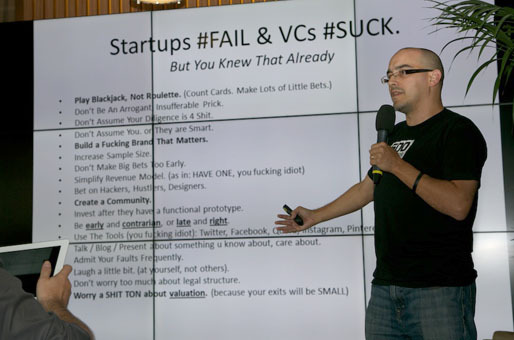 Masterminded by Dave McClure, Founder and “Sith Lord” of accelerator 500 Startups, and co-organiser of the most imaginative events in the Valley (Smash Summit and UnSexy), Geeks on a Plane takes his ethos on the road (or air), taking investors and executives on a global tour, racking up the column inches and learning about burgeoning technology markets. Described as having “a sole mission of uniting geeks and exploring cross-border opportunities” GoaP has already touched down in Latin America, Hawaii and Berlin so far this year, with next stops being New Zealand and the Middle East. It took more than three years for GoaP to notice Moscow. This year it was, tellingly, the first stop in the Eastern European itinerary, with the team spending four days in Moscow meeting startups, geeks and investors and learning about the trends in internet, mobile, and other tech platforms. And drinking of course, as McClure admitted. Established in 2010, Digital October is indicative of the activity around the new Moscow tech scene and has become the focal point of its activities. Aimed at bringing together VCs, leading private investors, government and private institutions, its activities range from TechCrunch and DLD’s Russian presences, from receptions with Cisco Chief Futurist Dave Evans and interactive lectures, to hosting the Venture talk-show on Moscow Business FM radio. Landing Page itself saw the movers and shakers in this Moscow scene represented – travel leaders OktoGo, gaming giants Zeptolab (responsible for Cut the Rope), as well as key digital media players and investors such as Foresight Ventures, Addventure, Russian Venture Company, Glavstart and Yandex.Factory. “Investors definitely should go for the Russian market” believes Marvin Liao, CMO of Symbio and one of the Geek-on-a-Plane Eastern Europe participants. And Marvin should know – his former role was as commercial director of EMEA Markets for Yahoo. “Russia is a big market with lots of talents. Modernisation may be not great here but hopefully it’s getting better,” added McClure. He went on to say that the winning combination of Russian engineers and passionate attitude to business are sufficient reasons to compel any Silicon Valley company to invest in local startups.